As it is, London has the reputation of being an expensive city particularly for visitors coming from third world countries. When they go to Theatre land for buying a theatre ticket they find that some of the large theatres have a high ticket price ranging from £20 to £100 each. These prices can indeed be daunting but there is certainly a silver lining as cheap tickets are available if you know where and how to get them. Some suggestions for finding cheap tickets are to go to the theatre on the day of the performance as some producers offer discounted tickets on that day. Some theatres like the National Theatre even sell standing tickets at an unbelievable price of £5 if they have already sold their seating capacity but only the strong people who can rough it out by standing all the time can venture to buy such tickets. Moreover, you can decide to go to fringe theatres and other theatres that are far from West End where you may get standard tickets for less than £10. People undertaking travelling and tours in London generally like to see a theatrical performance as the city is well-known in this field. You can also visit the discount websites such as Time Out Tickets & Offers and Lastminute where you may be able to spot a discount offer on tickets for West End theatres or for the larger theatres elsewhere. A practical way of getting cheap theatre tickets is to go to the TKTS booth in Leicester Square in person where you can get full price and discount tickets. These tickets are however available on the day of the show when you go there. You can have a wide selection of shows as the booth sells tickets for various popular shows. Moreover, you will be able to get detailed information regarding the seating location of the ticket being sold to you so that you can opt for a location that will give you uninterrupted viewing. Detailed information is available on the TKTS website and the booth opens 0:00 to 19:00 Monday to Saturday and 11:00 to 16:30 on Sundays. It has a second outlet at Brent Cross and it is much more reliable than other unofficial touts in the area. It is run by the Society of London Theatres. It is also important to know that whether you are going to a West End theatre or a fringe theatre, you can find reduced price previews prior to opening night although the production may not be completely accomplished. Third party sellers such as Time Out Theatre Ticket Service and TKTS are some of the reliable agencies to get cheap tickets unless the show has just started and is proving to be very popular. The West End area is also famous for being home to best cinema centres in London. It should be noted that cheap tickets do not guarantee that the seats would be ideal from the point of visibility of the stage as they may come behind pillars or they may be in the balconies. In fact, you can even approach the theatre box office and ask for such seats as the theatre will be glad to offer you an attractive discount for such seats. The theatres other than those in West End offer many attractive tickets such as the National Theatre that has several such offers that makes their tickets generally cheaper than the West End tickets. Half of all tickets for many spring and summer shows are available from the Travelex £15 Season at just £15. If you are aged between 16 and 25 years, you can sign up for the Entry Pass Scheme and you will be entitled to get £5 tickets from an allocation that is made for each National Theatre show. The standing room tickets priced at £5 are offered to each person waiting at the box office for every show from 9.30am on the day of the show after the day tickets are all sold out. Moreover, 90 minutes before every performance, the theatre releases reduced price Standby and Student Standbytickets. For all performances in the Lyttelton, Olivier, Dorfman and temporary theatres, Friday Rush Tickets are being offered from April 10, 2015. Moreover, an allocation of £20 tickets is made every Friday at 1pm for the following week’s performances and these are released online. Staying at one of the Park Grand Heathrow Hotel in London is most convenient as you can get comfortable accommodation at affordable cost. 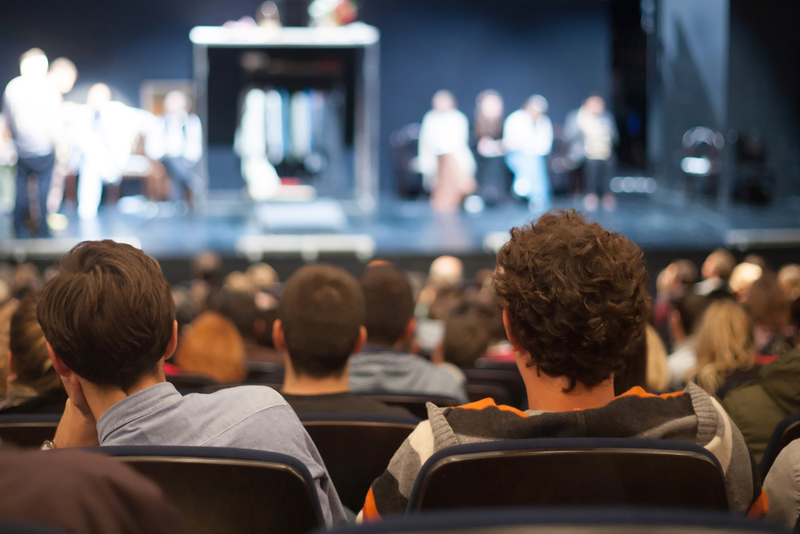 There are various ways of buying theatre tickets but buying online is the most convenient way since it can be done without moving out of the house and visiting the theatre box office or a ticket booth. All that you need to do is to go online and visit the buy tickets page of the theatre website that will give you all necessary information about prices, availability and seating location. You can also buy the tickets from the websites of the ticket agencies. However, you must check the reputation of the site and beware of sites that may be offering unexpectedly favourable deals. You should check whether there is a physical address and the place where the site is based. You can buy the tickets from theatre box offices that remain open from 10:00 until about half an hour after the start of the evening show. The advantage of booking in person is that you will not be charged booking fee which is done for booking over the phone.